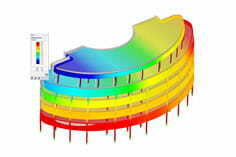 I want to color several cross-sections displayed in rendering mode with red, green or yellow. How do I proceed if some rendered members should have a different color than others? 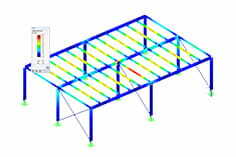 In RSTAB and RFEM, different colors are assigned to objects such as materials, member types or cross-sections, which allows for a clear overview of the structure when shown in the rendering mode. The Display navigator item "Colors According to" contains several options (see picture). The active field controls the assignment of colors for the objects in rendering. By default, the programs use the material colors that are defined for the individual construction materials.